Try us out and see why we are the preferred staffing agency. Whether you are looking for a contract or permanent staff Our solutions remain the same and unchanged in providing the right fit timely and effectively and for the right price. We offer stimulating training programs tailored to each organizational need that increases employee performance. Candidates career progression is at the core of what we do, therefore we help your workforce and jobseekers outline learning and development strategies that will help them in their present job role and future career opportunities. Our affiliation with flexylearn means we can offer a (two month) Mini-MBA and MBA courses certified by the London School of Business and Finance UK at a flexible payment plan and rate. 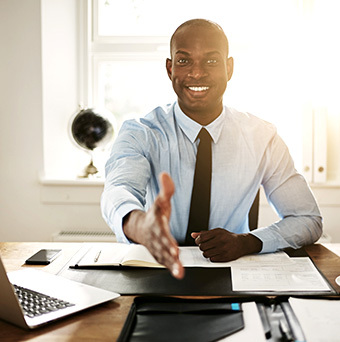 We offer personalized coaching to candidates by providing training and guidance that supports personal and professional learning helping you hire or retain smarter, better people. Let us help you personalize an employee perk program that will sure to increase employee productivity and loyalty. We advise successful candidates on skills gaps identified and on client’s culture and values. This is usually a short few hours training. We offer personalized coaching to candidates by providing training and guidance that supports personal and professional learning. We know the market rates for your area and we work with our clients to insure you are compensated according to your skills and experience. We frequently record interviews for clients on request. Video interviews can substantially increase your chances of getting a job. Our team of dedicated and talented CV writers offers top quality resumes utilizing your experience and acumen helping you standout the more. Apply for a job that you are qualified for by registering with us on our website and or searching our job Advert and apply. You are welcome to tell us about yourself and your skills for future vacancies. We are here to help you prepare your CV and or provide any other support you may need, check out Why 25th and Specialized Services.